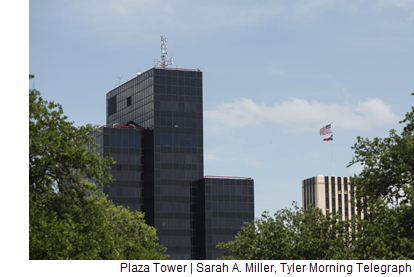 ​ ​TYLER – Downtown’s Plaza Tower, distinguished by its 20 stories of darkly tinted windows, has been sold. The office building is colloquially known as the “Bank of America Building",and sits on the west side of the T.B. Butler Fountain Plaza. Renovation plans to Plaza Tower will incorporate retail space into the ground level, featuring modern, contemporary finishes consistent with the building’s design.